Included in the price: for our hotel guests we offer an own varied program with our hiking guide - mountain excursions, herbal walks and cultural hikes with different degrees of difficulty. HIGHLIGHT of this summer 2019: watching the sun rise from a mountain peak with our hiking guide (once per week). 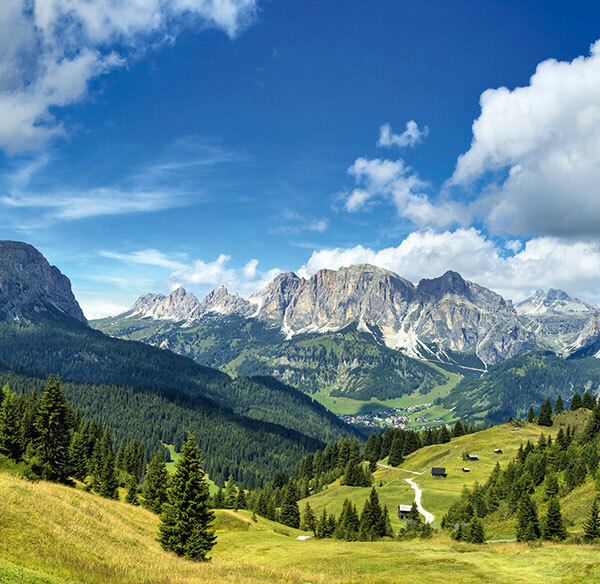 Experience the breathtaking beauty of the Dolomites, sparkling streams, magical mountain peaks in a unique natural paradise. The Hotel Ciasa Soleil is located in the centre of the village of Stern/La Villa, but away from traffic, and is the ideal starting point for wonderful walks and climbing excursions in the Dolomites.